WHO: Enjoyable for all ages. 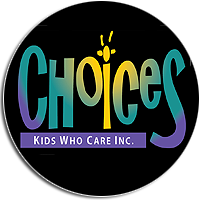 WHAT: Choices, a Kids Who Care original musical, is a radical, smart, and funny show that examines how the paths we choose and decisions we make on a daily basis effect our lives! 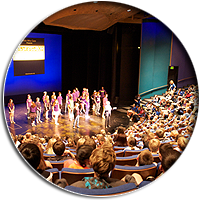 WHAT: Book early to bring your students for an on stage learning experience with a fun and memorable focus on character and the choices we make. Contact Kristen Thiebaud to book 817-737-5437. Online: Click here to visit our online Box Office. In Person: Box Office opens one hour prior to curtain. Box Office Policies: Click here to view our online Box Office Policies. Bring Your School: Click here to learn about Field Trips. 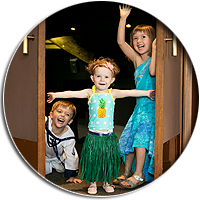 Group Rates: Group rates are available for parties needing 12 or more tickets. They must be purchased all at one time, under one name, and for the same performance. Please call the Kids Who Care Office to purchase your group today. 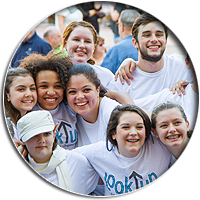 Backstage Tours: For an extra fee your group can enjoy a backstage tour before or after one of our performances. Please call the Kids Who Care Office for more information on booking a tour today. Workshops: Click here to learn more about Workshops. Get Directions: Click Here to Get Directions. Arrival Time: The Box Office opens one hour prior to curtain. 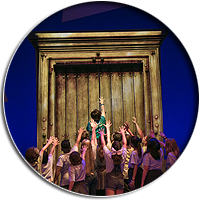 Kids Who Care suggests you arrive at least 30 minutes prior to curtain to allow time to park and walk to the theatre. Where do I pick up tickets? If you purchase your tickets online, they will be emailed to you. Otherwise, you can pick up your tickets at Will Call starting one hour before the performance. Seating Chart: Click here to view our seating chart. Theatre Etiquette: Click here to learn about Theatre Etiquette.